The overall objective of this WP is to ensure the fulfillment of the project objectives and to ensure that the required project deliverables are provided to the European Commission in time and within budget. 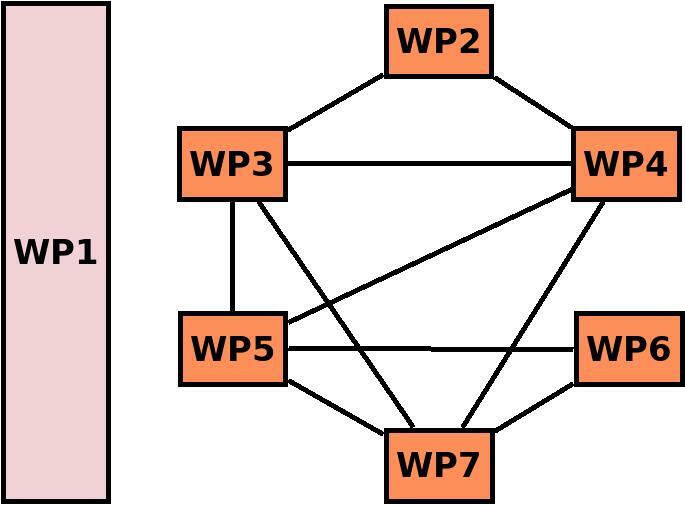 This WP will proceed in close contact with WP7, responsible for the Dissemination and Exploitation Plans. The overall objective of this WP is to define the data to be processed in tranScriptorium, to collect this data and to maintain the necessary infrastructure for internal sharing of data. We will focus mainly on documents with cursive handwriting and with available metadata or other linguistic resources that are useful for the Handwritten Text Recognitin (HTR) process. We will focus on documents in four languages: English, Dutch, German and Spanish. In this WP, we will strive towards the development of innovative methodologies in HTR and DIA in order to provide the core elements of an HTR engine. Our aim is to go beyond state-of-the-art techniques in DIA in order to efficiently enhance the quality and segment historical handwritten documents in text line as well as to prepare the necessary HTR models which will be used in the subsequent recognition stages. Moreover, we will develop techniques for indexing and searching in historical handwritten documents based on KWS. The aim of this work package will be to provide a general approach and workflow to acquisition and integration of linguistic resources, to collect linguistic resources relevant to the manuscript collections tackled in the project and to optimize language modeling for HTR. The contribution of the developments of this WP for improving HTR results will be explicitly evaluated in WP3 and WP5. This WP aims at integrating the tools developed in WP3 and the linguistic resources generated in WP4 in a set of tools for further developing web-based services. An API will be developed for later use in the user interfaces that will be implemented in WP6. Interactive techniques will be studied for improving the recognition results of the DIA, HTR, and KWS engines and for reducing the user effort for achieving accurate results. The goal of this WP is to demonstrate that it is feasible to utilise the DIA, HTR and KWS software produced by the project (a) for crowdsourcing applications and (b) for digital archives and e-research portals. This WP is devoted to the dissemination of tranScriptorium scientific and technological results in the areas of Cultural Resources, as well as in the Digital Libraries. Also, a main objective of this WP is to develop an exploitation plan for the development of new services on the basis of tranScriptorium results.